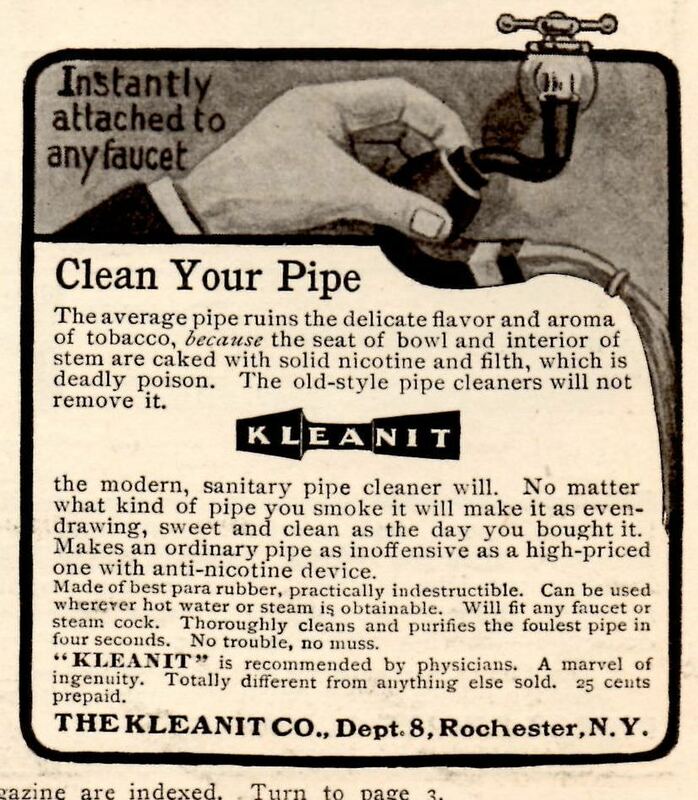 Heck, just hook your pipe up to the water faucet to clean it! This is working on the assumption that the tars and all that build up are water soluble I guess. It seems as if it would be a little hard on cake, but reaming would be a non-issue. I would guess it was a great idea that worked horribly. 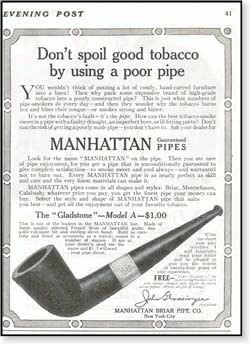 Here's a Manhattan pipe ad from 1913. 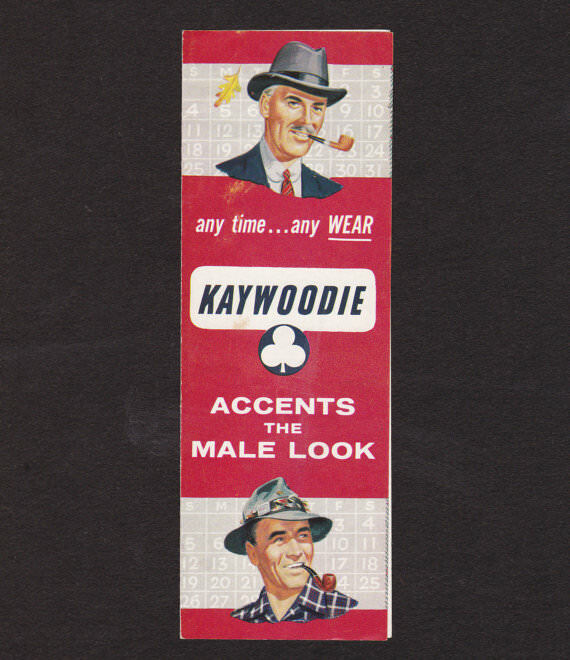 One of my favorite old brands! 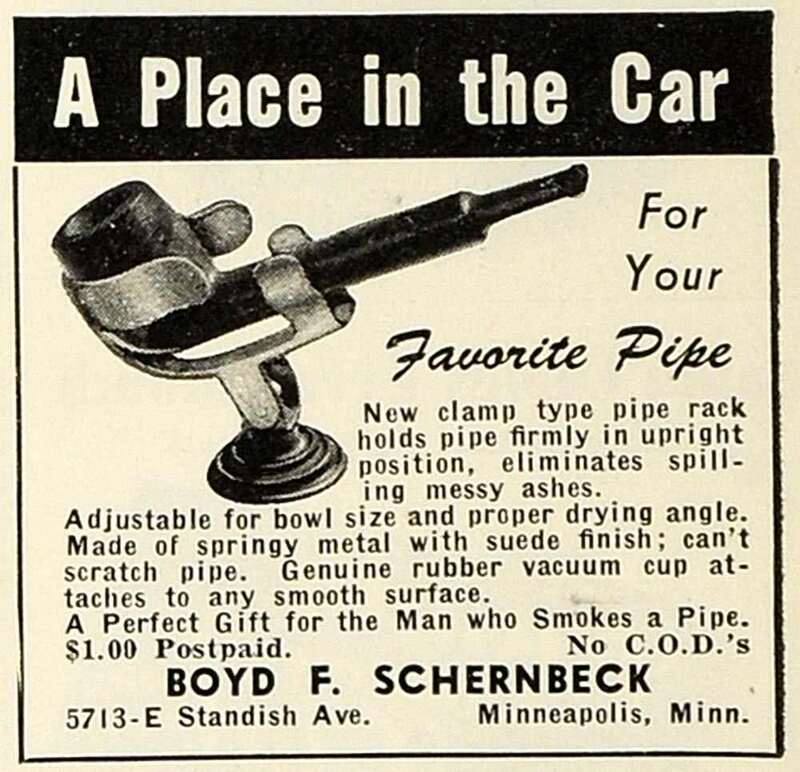 Yeah...I can't imagine hooking my pipe up to a water faucet and giving it the gun! And "No C.O.D. 's" OK, that apostrophe. I thought people knew English back in them days. lol. And I want one of those and I want it C.O.D.! 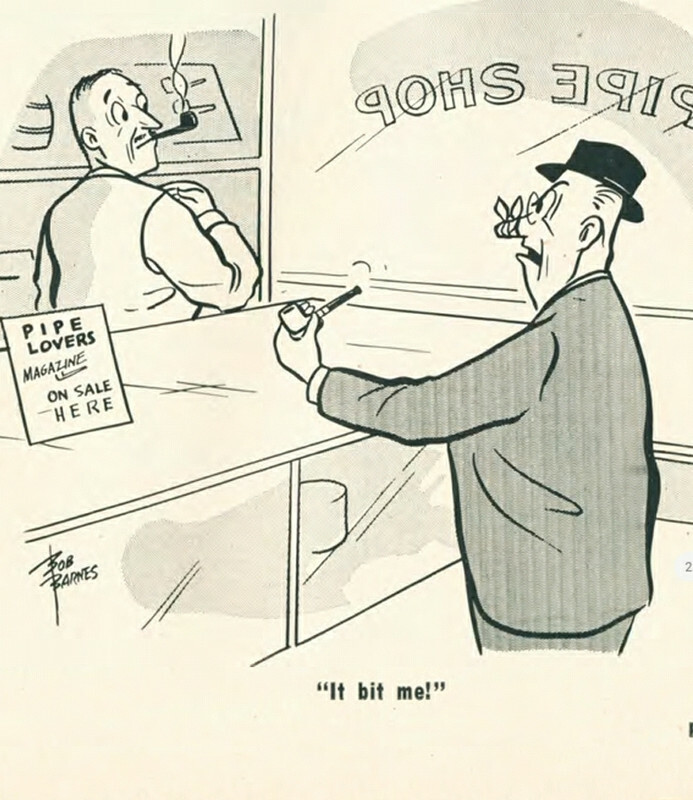 Well, it's not an ad, but a cute cartoon from 1947.